When I’m looking for guidance on a recipe or cooking technique (and Ina isn’t available to help with her words of wisdom) I check out Food52 to see what their experts have to say. So I was excited when I found out that the site was organizing a holiday pop-up shop downtown complete with demos and classes to help home cooks step up their game for holiday entertaining. As soon as I saw the list of offerings I knew immediately that I wanted to sign up for a session called “Make Your Desserts Beautiful” with Erin McDowell a food stylist and test kitchen manager for Food52. Check out this description – doesn’t it sound amazing? "Fancy cakes and pies aren't just for bakeries. 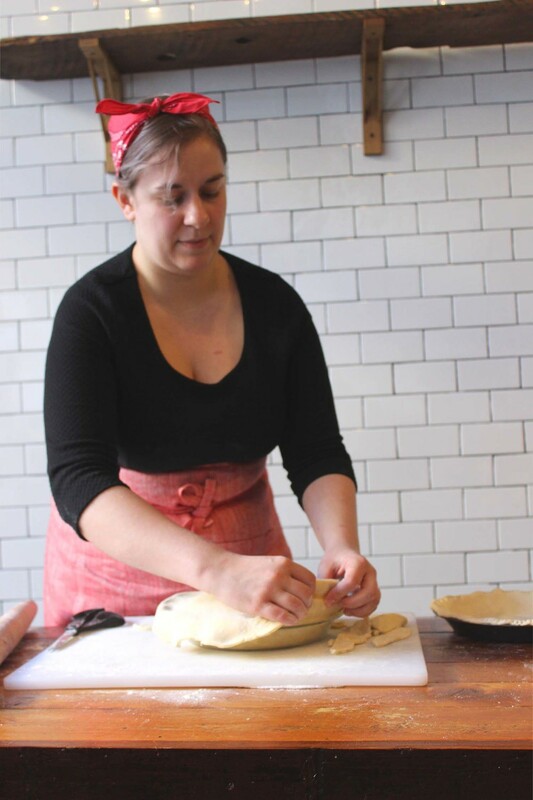 Erin McDowell will teach you foolproof ways to make intricate pie crusts and decorative cakes. She'll demo tips for braided pie edges, the perfect crimped crust, the classic swirled cake icing, and more." I probably should have taken better notes, but thankfully Erin has several pie specific how-to articles on Food52 in case I need to jog my memory. I left feeling so jazzed about making pie and finally conquering a food group that’s always intimidated me. I’d sign up for this class again in a heartbeat, so while I wait for Erin to open up her own pastry school it’s going to be pie central around these parts while I practice these new skills. Step 1: try the All Buttah Pie Dough. Consider yourself warned.